Aethas Sunreaver: It is time we make our move, (Name). I can conjure a portal that will take you directly inside but it will take some time before I can make another and join you. 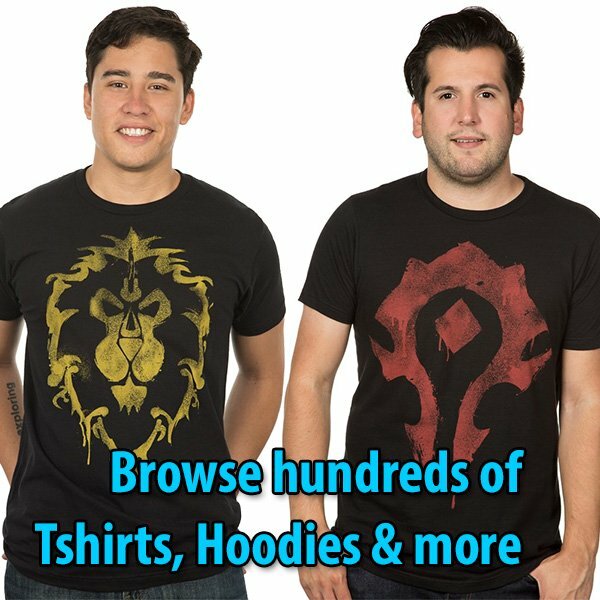 The Lich King will no doubt sense the magic of your arrival so you will need to move fast to locate Felo’melorn and secure it. If Lyandra has the blade with her then I fear she may not reliquish it easily. Be prepared for anything, (Name). 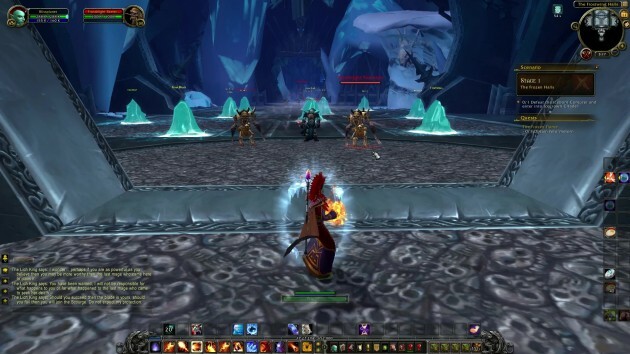 Obtain Felo’melorn from Lyandra Sunstrider in Icecrown Citadel. Aethas Sunreaver: The portal will take you directly inside Icecrown. Hurry, it won’t last long. I’ll follow after you as soon as I can. Good luck, hero. 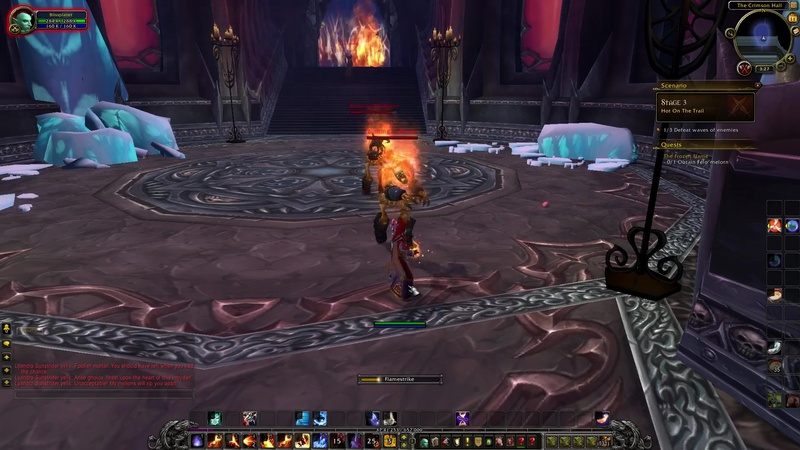 STAGE 1: The frozen Halls — Defeat the Iceborn Conjurer. The Lich King: I sense that a foolish mage has come in search of plunder. 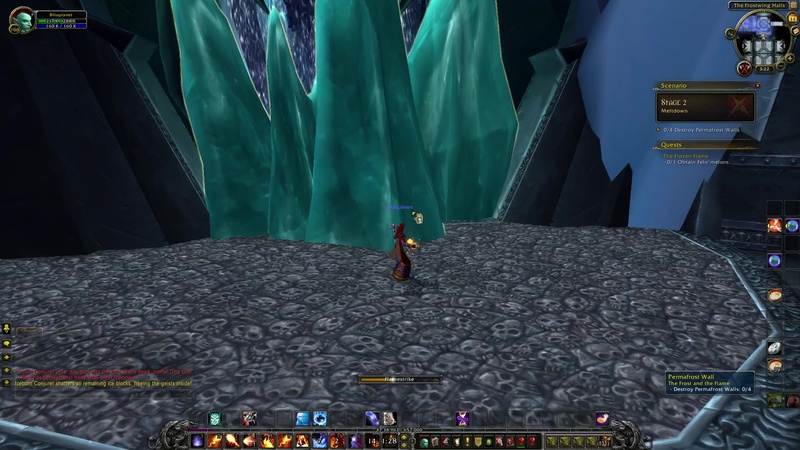 You underestimate the dangers of Icecrown. Your thoughts are easily read, (Name). 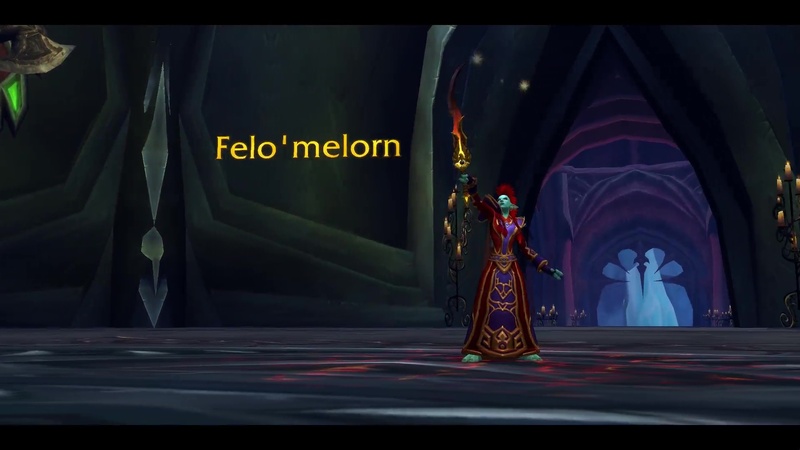 I see you are here to take Felo’melorn and use it against the Legion. Interesting. I wonder… perhaps if you are as powerful as you believe then you may be more worthy than the last mage who came here to claim it. You have been warned. I will not be responsible for what happens to you or for what happened to the last mage who came to seek her death. Should you succeed then the blade is yours, should you fail then you will join the Scourge. Do not expect my protection. Iceborn Conjurer: You step into the land of the dead, mortal. The Lich King has decreed that none shall enter Icecrown. NOTE: Destroy the permafrost walls to move forward into the scenario. There is a total of 4 permafrost walls. STAGE 2: Meltdown — The servants of the Lich King have conjured walls of ice to block your path. Destroy them. Lyandra Sunstrider: I, too, came to Icecrown in search of Felo’melorn. The Lich King gave me the blade and more, he gave me purpose! It is only when the blinding pain of life left me did I see the truth, only then did the majesty of the plan become revealed. You do not realize that you’re groping in the darkness! Felo’melorn in your hands would be wasted! The blade is mine by the will of the master and by blood! If you oppose me you WILL be struck down! STAGE 3: Hot on the Trail — Survive the assault of the burning dead. 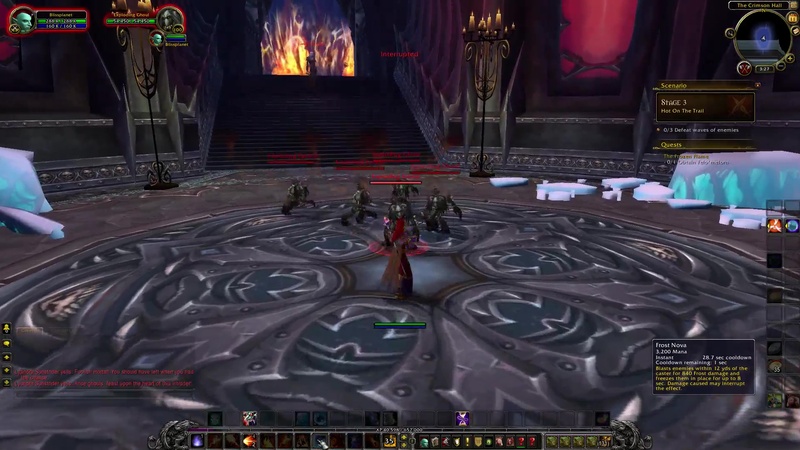 Lyandra Sunstrider: Foolish mortal! You should have left when you had the chance. Arise ghouls, feast upon the heart of this intruder! Unacceptable! My minions will rip you apart! I will not be defeated! Come my pet, sate your hunger with the flesh of the living! This stage has 3 waves of mobs summoned by Lyandra. 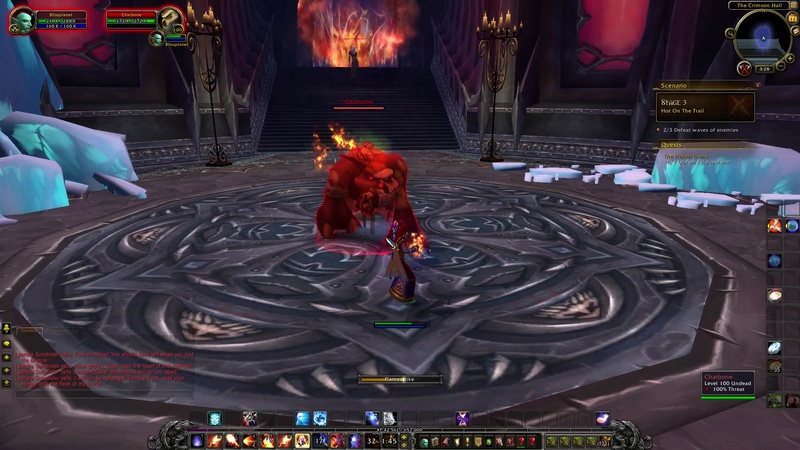 STAGE 4: Playing with Fire — Slay Lyandra Sunstrider. Lyandra Sunstrider: Enough of these games. This ends here! If you wish for my blade so badly then you shall have it! Awaken Gorewing! Tear my foe asunder! Gorewing the Awakened: The sooner I crush you the faster I go back to sleep! Aethas Sunreaver: I’m with you, hero! I’ll hold Lyandra at bay, focus on destroying that monster of hers! 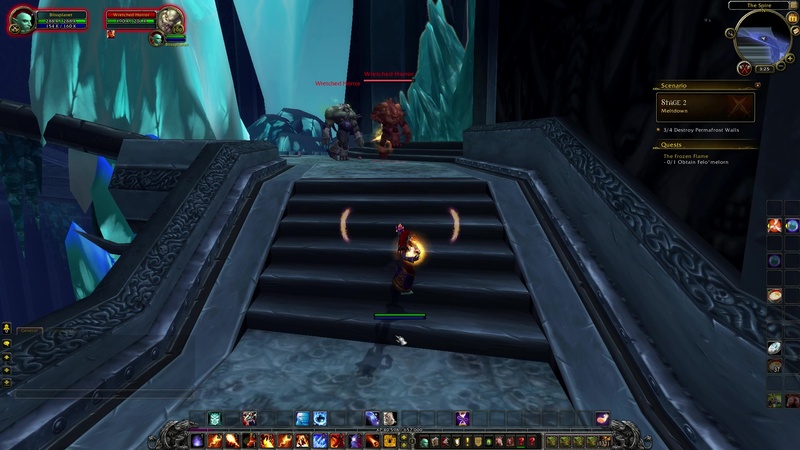 Lyandra Sunstrider: Aethas, how DARE you! Have you forgotten who I am? Aethas Sunreaver: I remember who you were, but the creature in front of me now is just another walking corpse. 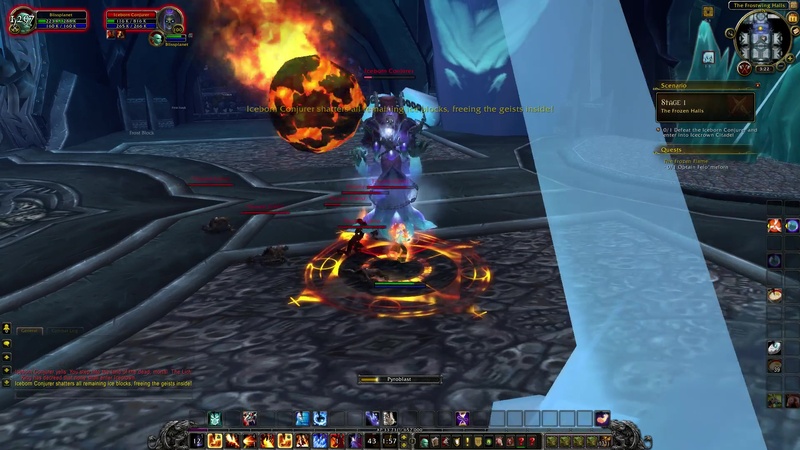 Lyandra Sunstrider: This ends now! FINAL STAGE: The Flamestrike — Felo’melorn is yours. Take it. The Lich King: No doubts linger, you are truly worthy of the blade! Claim your prize and leave, hero. The living have no place in this prison of ice. 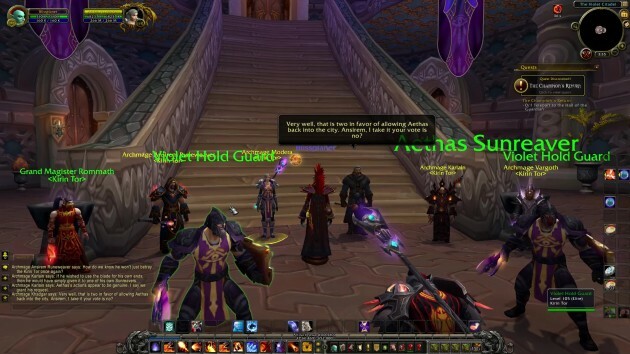 Aethas Sunreaver: An inglorious stain on the Sunstrider name has been removed. Good work, hero! Let’s get out of here before the Lich King decides we’ve overstayed our welcome. Aethas Sunreaver: Esteemed Archmages of the Council, may I present to you (Name), bearer of Felo’melorn. 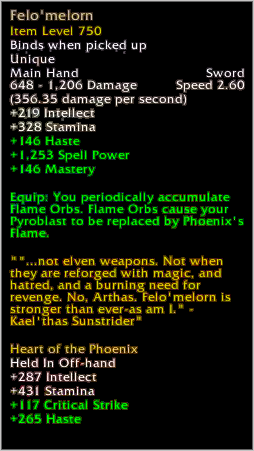 Archmage Modera: Felo’melorn… I can barely believe that such great power is locked within a blade as beautiful as this! 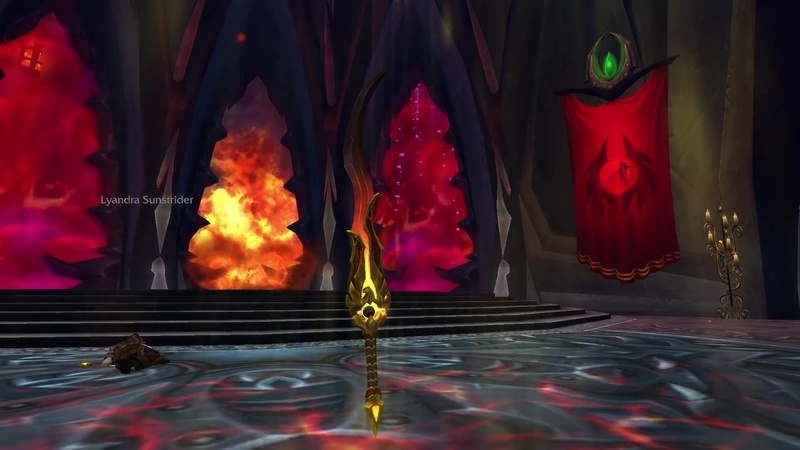 With this weapon in your hands, the Legion will surely fall! 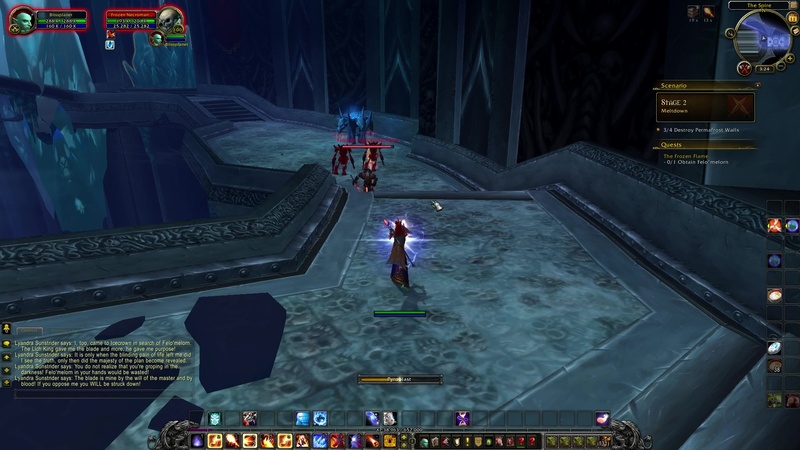 Archmage Modera: As you see our former colleague followed through on his promise of assistance. I trust you will take that into your consideration of his request. 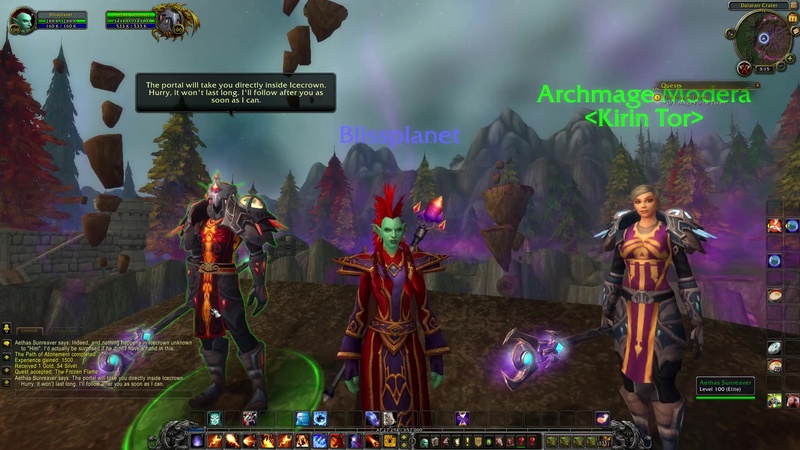 Archmage Ansirem Runeweaver: How do we know he won’t just betray the Kirin Tor once again? Archmage Karlain: If he wished to use the blade for his own ends, then he would have simply given it to one of his own Sunreavers. 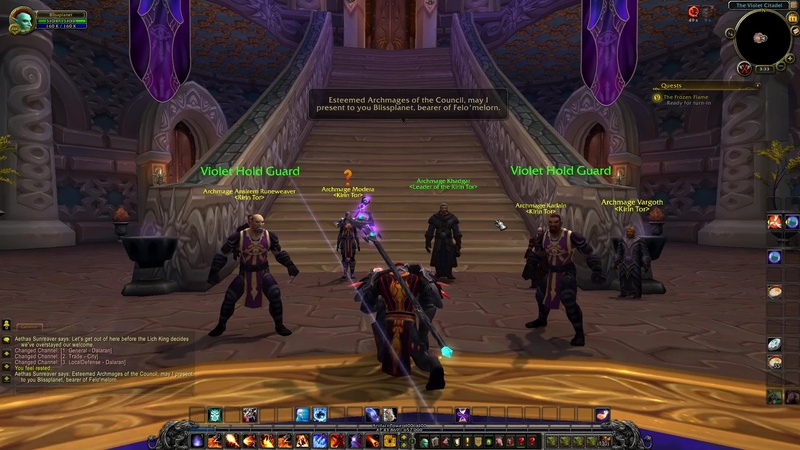 Aethas’ actions appear to be genuine. I say we grant his request. Archmage Khadgar: Very well, that is two in favor of allowing Aethas back into the city. Ansirem, I take it your vote is no? Archmage Ansirem Runeweaver: Fine, I trust the wisdom of Karlain’s council. I vote yes. Archmage Khadgar: And how say the rest of you? Grand Magister Rommath: Yes, of course. Archmage Khadgar: Then it is decided. Aethas Sunrunner, you are free to go. Do not misuse this opportunity given to you. 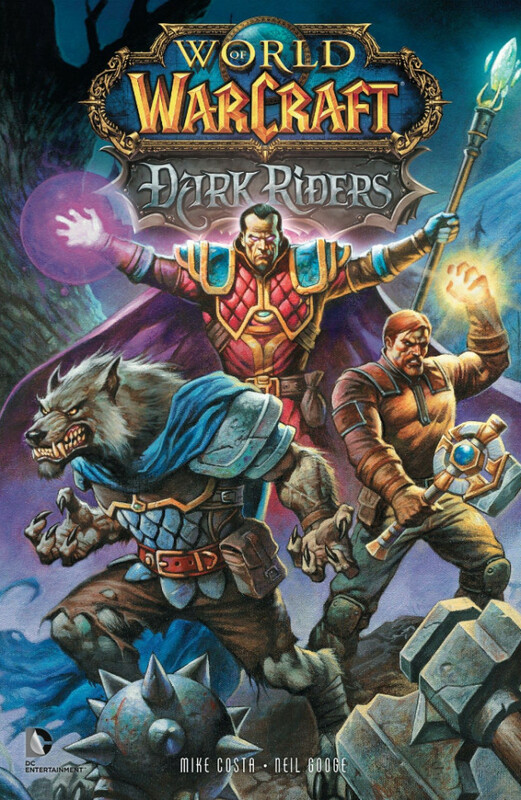 Archmage Karlain was one of the main characters in the DC Comics World of Warcraft: Dark Riders graphic novel by Michael Costa (Author) and Neil Googe (Illustrator) . This is the first time Karlain enters World of Warcraft as an NPC.